If you have been reading blogs for any amount of time, I'm sure you have come upon what is called a blog giveaway. These are individuals hosting a giveaway and because it's on a smaller platform than a national sweepstakes, often your chances are better of winning. How do you increase your chances even more? willing to accept winners from Canada, but the service they were giving the code away for was not able to be used in Canada. That would be disappointing if you spent time entering that only to find out you couldn't use it. Otherwise bookmark their blog. Try to find low entry giveaways that interest you. Tightwad in Utah has a great list of under 200 entry giveaways. 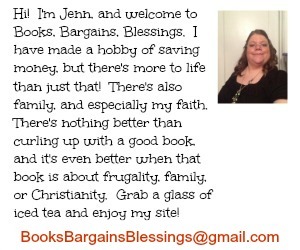 You won't find many gift certificates or such on that site, but if you like to read, you'll find a number of books and gift ideas. There are a lot of link up sites you can also visit. 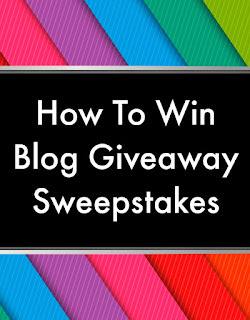 you can visit my Ultimate Blog Giveaway Linky List to find places where those hosting giveaways list theirs. If you run across a blogger that has a small following and often hosts giveaways, you may want to sign up for their newsletter if they have one. That way you will know when they have a new giveaway out. Try to enter ones with better odds. I tend to avoid ones that are hosted by multiple bloggers, but that is my preference. Some of these might get tens of thousands of entries. I would rather spend my time entering where I feel I have a better chance of winning. Although, these do have winners, but I don't think of them as "winnable." Complete as many entries as possible. One warning I would give here is not to share so many giveaways you annoy your friends and followers unless they all like that kind of thing. (My twitter account is mainly sweepstakes and blog related. My Facebook page is not.) One reason I like entering single blog giveaways rather than ones sponsored by a huge number of bloggers is that I don't have as many entries to complete. Check your e-mail often, including your spam folder. Sometimes winning e-mails from bloggers land in the spam folder, and it's worth keeping an eye on it. Be sure and respond quickly. Many bloggers request you respond within 48 hours of receiving the e-mail. One thing I do to keep the ones I can enter daily organized is to keep a file in my google docs. I add them with the date they will end and I can go down the list every day. Remember, more entries means a better chance to win. Enter only for things that interest you. Why win something just to say you have won it? Why not focus on things you can actually use yourself or for gifts? There are so many giveaways out there that will be no lack of opportunity to enter. Great information! Since I became disabled, I spend time entering sweepstakes. Makes sense to enter blog ones and low entry ones. I don't do the daily thing, but learning how to organize will help me do it! Some great info here thank you. I started entering blog giveaways in december. I have now won 57 of them so far since then! I am really enjoying it. I do agree about the group blogger giveaways. Some of the hundreds of entries required do not even equal out to the prize value! 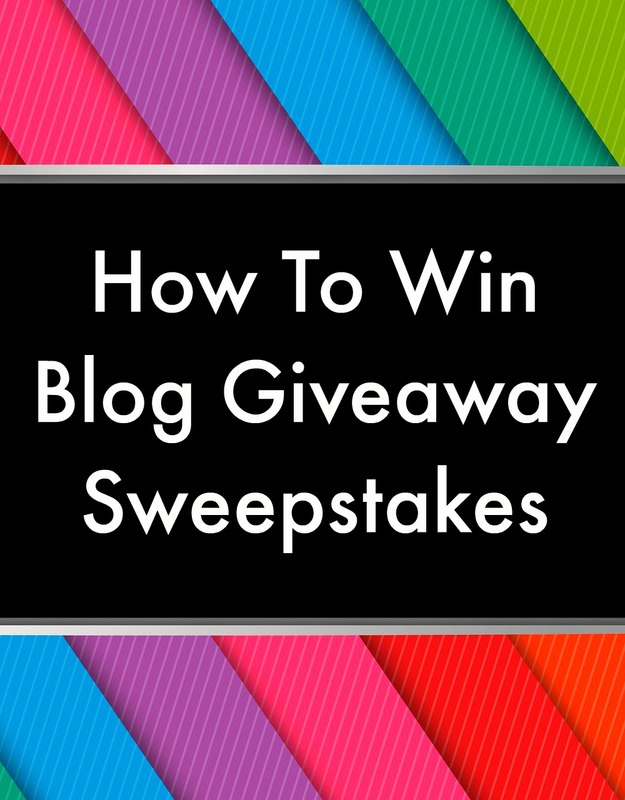 Plus why go to another blogger's website if they are only going to have the same giveaway? i also do the daily entries when I can get back to them. It is very time consuming. One thing I hate is on the referral entry. Why bother to do that if you only get 1 entry for each person you refer? It makes no sense you are just hurting yourself. Because that person could come and put in 200 entries! So unless it provides a better ratio I skip those entries.